GM CEO Mary Barra will tell Congress on Tuesday that the company still doesn't know why it took 10 years to recall cars with flawed ignition switches that killed at least 13 people. 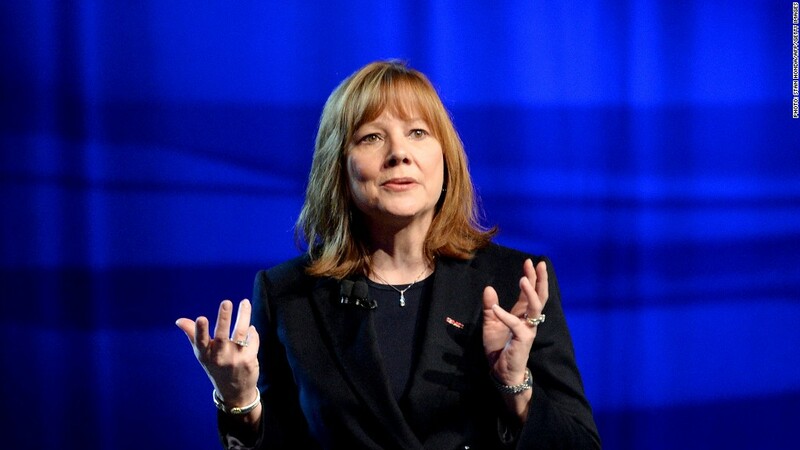 In prepared remarks released by the House Energy and Commerce Committee, Barra says the company is still searching for answers as to why the automaker ordered a recall in February 2014 for an ignition switch flaw it first learned about at least as early as 2004. "Sitting here today, I cannot tell you why it took years for a safety defect to be announced ... but I can tell you that we will find out," she says in her remarks. "When we have answers, we will be fully transparent with you, with our regulators, and with our customers." The faulty ignition switch can turn off the car when it is driving, disabling the airbags, the power steering and the anti-lock brakes. GM's recall has expanded to 2.6 million vehicles worldwide. In the United States, where most of the recalled cars are located, the recall covers the Chevrolet Cobalt and HHR, the Pontiac G5 and Solstice, as well as the Saturn Ion and Sky. Barra, who became CEO in January, said that as soon as she learned about the problem, the company acted without hesitation. She once again apologized for the delay in the recalls and the deaths that occurred. "Whatever mistakes were made in the past, we will not shirk from our responsibilities now and in the future," she said. "Today's GM will do the right thing." But despite that statement, GM has argued in court that it is not liable for any deaths that occurred before its 2009 bankruptcy, a process that shielded it from lawsuits against the old version of the company. And despite her pledge to be transparent, GM has yet to release the name of the 13 people it believes were killed by the problems with the ignition switch, or even to notify their families. It will be required to release those names to federal safety regulators later this week, though. Also slated to testify Tuesday is David Friedman, the acting administrator of the National Highway Traffic Safety Administration. NHTSA has received its own share of criticism for the delay since the agency looked into the ignition problem in 2007 and the in 2010, but never ordered a recall. According to Friedman's testimony, GM (GM) hid the link between the faulty ignition and the airbag failures from the safety agency. He said it is common for airbags to continue to work even 60 seconds after a car's power is shut off, and that documents GM gave the agency said that was the case in these vehicles. It wasn't until February of this year that NHTSA learned of the link between the ignition switch and the airbag failures, according to Friedman. "Had the information newly provided to NHTSA by GM been available before now, it ....likely would have changed NHTSA's approach to this issue," he said. Barra and Friedman are due to give two days of testimony, first before the House committee, then before the Senate Commerce, Science and Transportation committee. GM also faces a new probe into the recall by NHTSA, as well as a criminal probe by the U.S. attorney in New York. Additionally, the automaker is named in a number of civil lawsuits seeking class action status to represent a variety of accident victims and car owners.